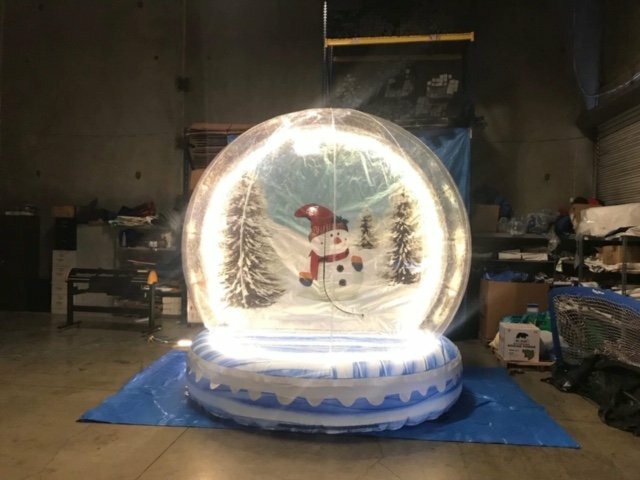 One of the most unique items you could have at your holiday event! Your guests climb into our giant inflated snow globe and have a picture taken! Perfect for holiday strolls, tree lightings, breakfast with santa, winter carnivals and so much more! This a perfect sponsor opportunity for someone looking to be involved in your event and get the name out!